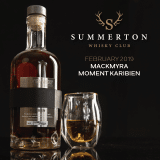 The story of Mackmyra starts in Sälen, a ski resort in the west of Sweden, in March 1998. Eight friends met in a snow-covered cabin, each bringing a bottle of whisky with them to share on their holiday. 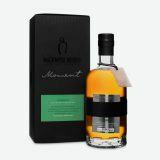 There conversations one evening turned to whisky and the fact that whilst there was a lot of interest and love for single malt whisky in Sweden, there were no Swedish distilleries to make the golden nectar. That night, the eight decided to create a Swedish whisky. Whilst they all loved drinking whisky, none of the eight had any experience in producing whisky, so they started touring Scotch whisky distilleries to study their work and gain an understanding of what they would need to do themselves. Soon they were ready to approach the Swedish government, who were so keen on the idea that they shared the story with the press, meaning the musings of the eight were public knowledge the next day. There was no turning back now and they soon found the perfect location for their new distillery, a sturdy old electrical power station was rented. It had its own water source and had a rich history, having been used previously as a blacksmith, a mill and barn. 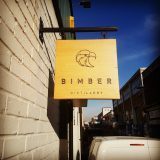 Whilst keeping their “day jobs” for another two years, the eight set about converting the building and setting up their small-scale pilot distillery, without outside expertise or finance. This included welding together a pot still themselves, scaling up from an old still they found in a museum. This first 30 litre pot still filled a 30 litre cask, a size that has come to represent Mackmyra’s production ever since. Not being master distillers themselves they decided to open up their work to the public to get their input. Regular tastings were held and the results of these tastings shaped production going forward, allowing them to create a truly Swedish whisky. Public tastings are still important to Mackmyra today. All the ingredients for this Swedish distillery are sourced locally, from local barley and bread yeast, to the Swedish peat and juniper branches used for smoking. They even use local Swedish oak for a number of their barrels, trees planted in the King’s Forest of Visingsö, originally destined for future Swedish warships (although now they use a number of different barrels to produce their fantastic expressions). With their skills honed and their whisky perfected by local input the eight were ready to expand their potential and start producing whisky to sell. A much larger still was installed and on 18th December 1999 the first drops were distilled. From there Mackmyra has never looked back, a second large pot still arrived in 2002 and by 2010 they started construction of their new Gravity Distillery, which increased production five-fold by 2013, allowing many more people to try their fantastic creations. 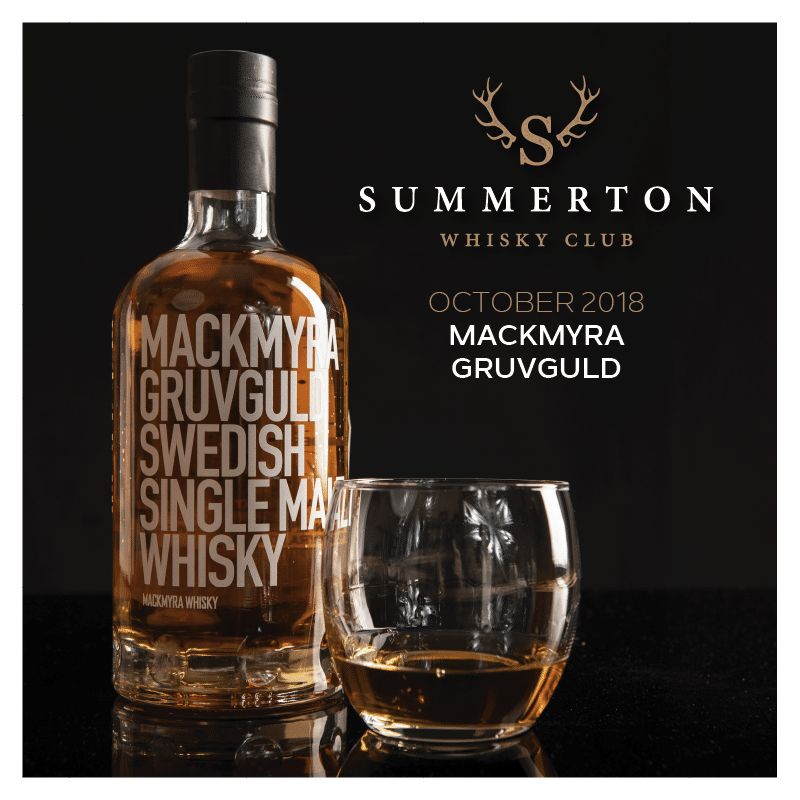 From Mackmyra’s amazing range we have the pleasure to share Gruvguld with our members, an expression not available in the UK. Meaning ‘Gold from the Mine’, Gruvguld is a wonderfully smooth Swedish Single Malt Whisky, aged in a variety of small casks, including Olorosso, Bourbon, Sherry and Swedish oak, 50m below ground in the Bodås mine. Enjoy…especially knowing that you are drinking something that none of your friends can get without travelling abroad.